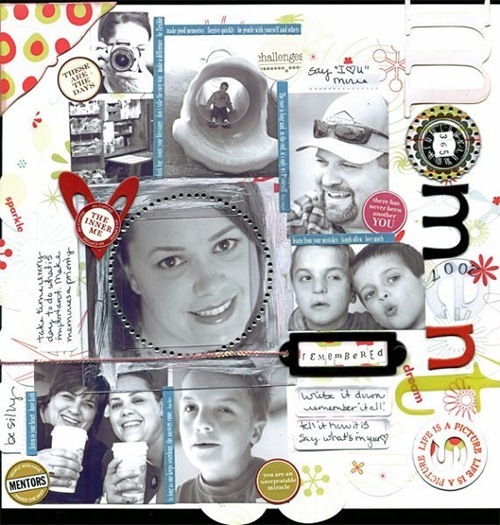 Heidi Swapp is one of those manufacturers that has made a point of staying relevant...their products cope well on a layout whether it be in big or little doses. 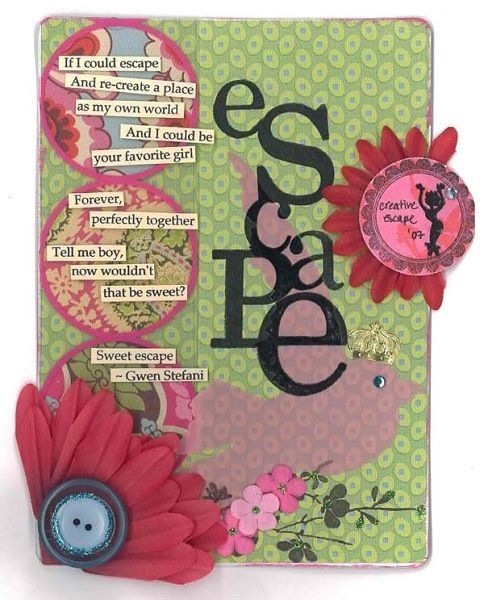 This layout by Donna just goes to show that a few small HS treasures are all you need to make a page shine. Oh, and a little Bling! never hurts either. 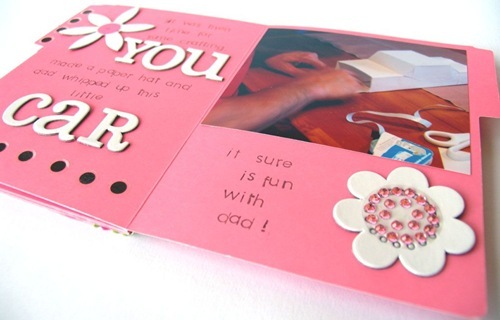 For this layout Mel has combined several Heidi Swapp products, including decorative tape (an old time favourite product), jewels, dot stickers, journalling tabs and chipboard flowers. 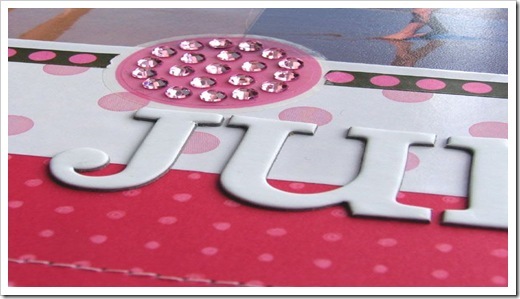 The jewels have been placed over the top of the dot stickers to create eye catching texture to the page. 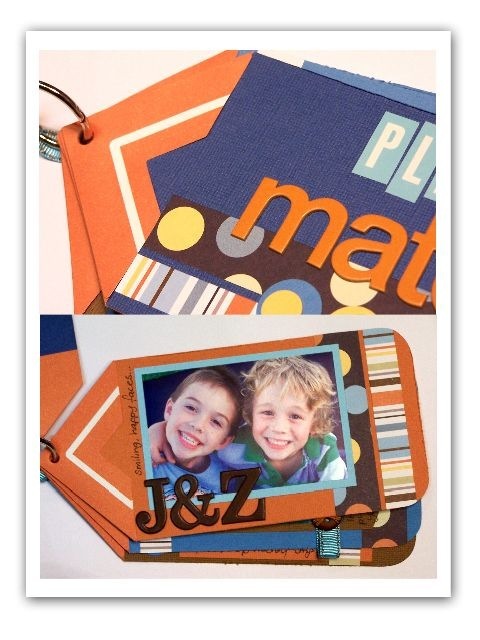 Create your own super cute mini album using Heidi Swapp foto folders. 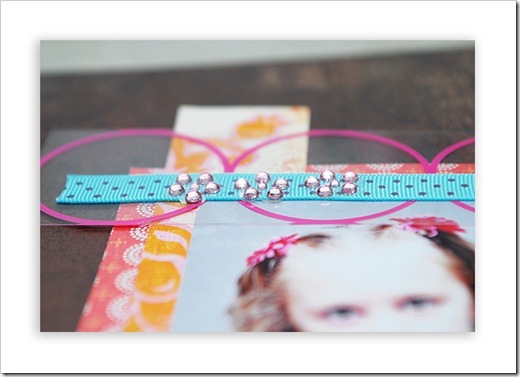 Simply adhere a pack of these together using double sided tape and add some wide Strano ribbon down the side to hide the spine as Mel as demonstrated here. 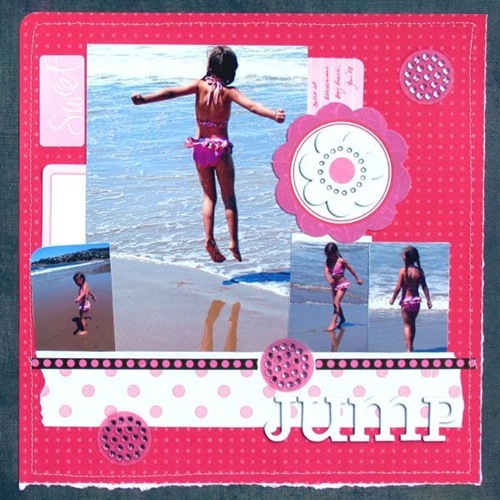 Add some Heidi Swapp writers block squares (capri), Scrapbook scenery stickers (dots 2) and some Heidi Bling to compete the cover. 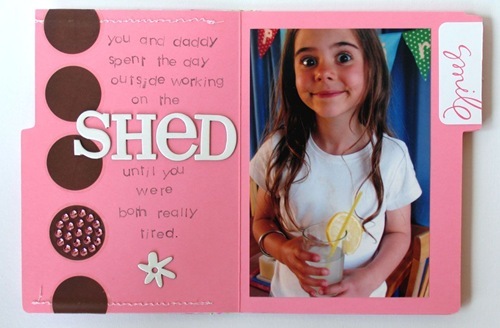 We'd also like to thank Janelle Wind for sharing her scrumptious little mini album with us. 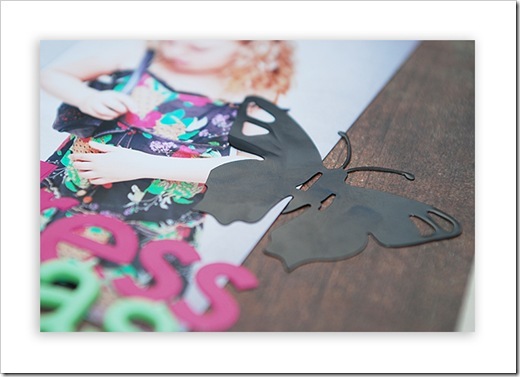 Janelle has demonstrated yet another use for the large Heidi Swapp photos corners, showing their versatility when working on a project. This layout comes to us all the way from sunny California, USA. Moriah Bettencourt has beautifully demonstrated the enormous versatility of Heidi Swapp products. 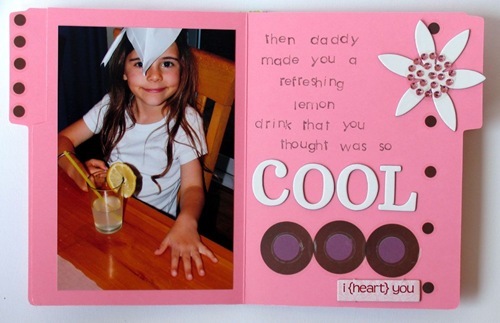 We love the mixed-font title using Heidi's Ghost Letters and the way Moriah draws our attention to the central photo using a clear frame and Bling! circle frame. Just beautiful, Moriah. This stunning Heidi Swapp altered playing card by Ching Tan grabbed our attention immediately. 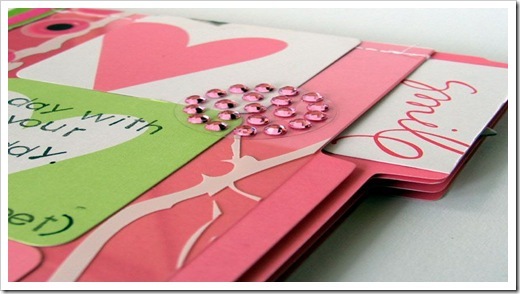 Ching has used an array of products including Heidi Swapp florals, stamp and bird sticker. We were amazed at how this HS playing card although small-ish in size easily matches the fullness and creativity of a full-sized layout. 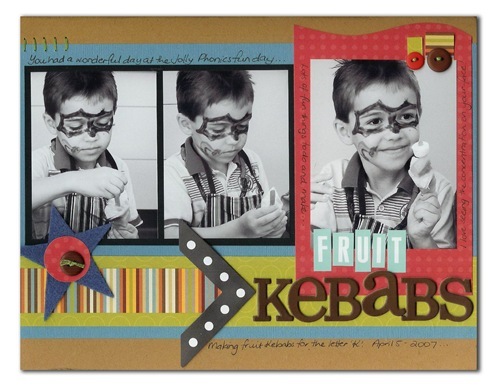 This eye catching layout by Janelle Wind demonstrates a fabulous way of using the Heidi Swapp photo corners - as arrows! 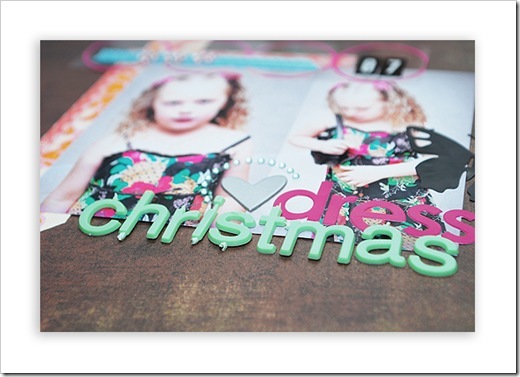 We also loved Janelle's super cute photos and colour combination combined with a mix of Heidi Swapp alphabets.